I am a Brazilian economist, a waldorf student, a diver, and a dreamer. I studied in a waldorf school for more than ten years, and that is why I will always be a waldorf student. I did my bachelor’s degree in economics in Federal University of Minas Gerais, I Belo Horizonte, where I have worked for more than three years with research in the urban and regional development field, focus especially in Latin America. 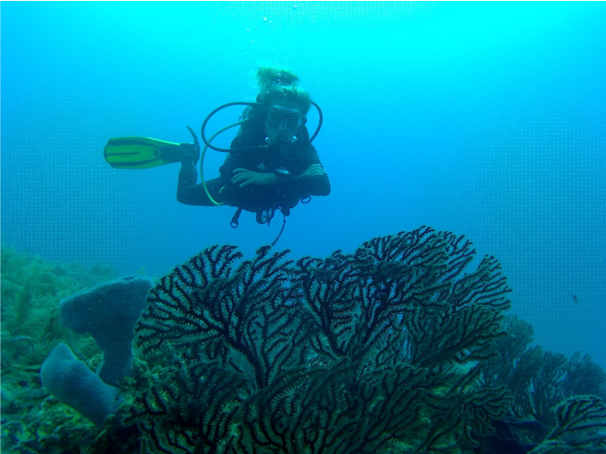 I did a semester abroad in California, also studying Economics, and for the past year I was living in Mexico, working with something a little bit different from my background: as a dive guide. All of these show my passions: social science, research, travel, getting different experiences and perspectives, and the submarine world. Thus, as a dreamer, I chose the GLOCAL program, continuing my path in an interdisciplinary program where the complementarity of global and local is broadly explored and discussed in a multiple international learning experience. As a conclusion, I just want to say: let’s dream together for a better world!